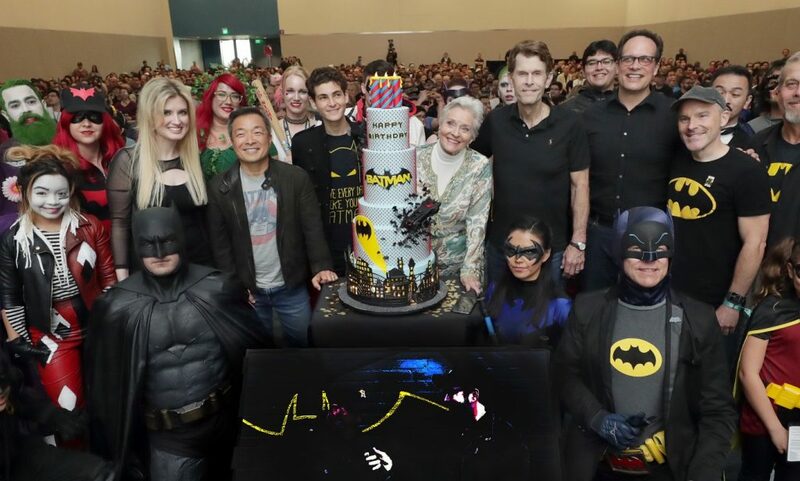 This year marks 80 years of Batman and it's only fitting that DC's worldwide celebration included a birthday party on Saturday, March 30th, to celebrate this pop culture icons legacy. 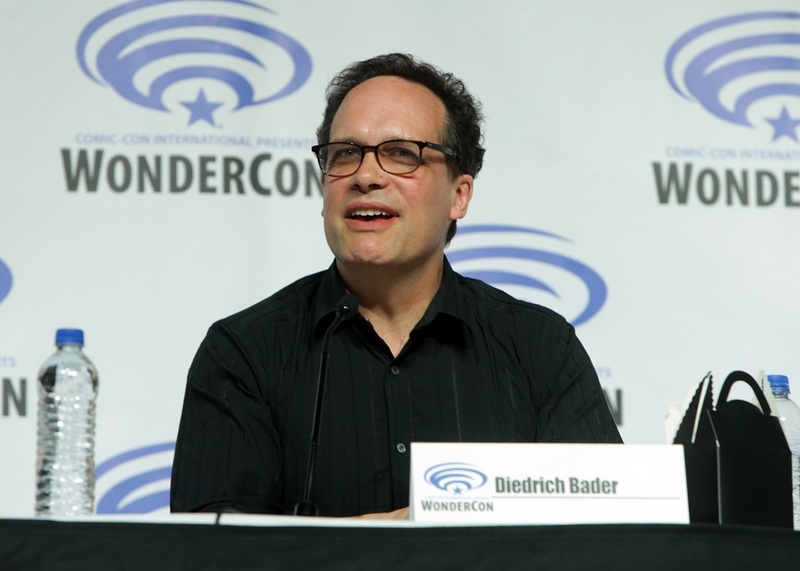 In honor of Gotham's Caped Crusader, a panel of icons, legends, and fan favorites came together at WonderCon. 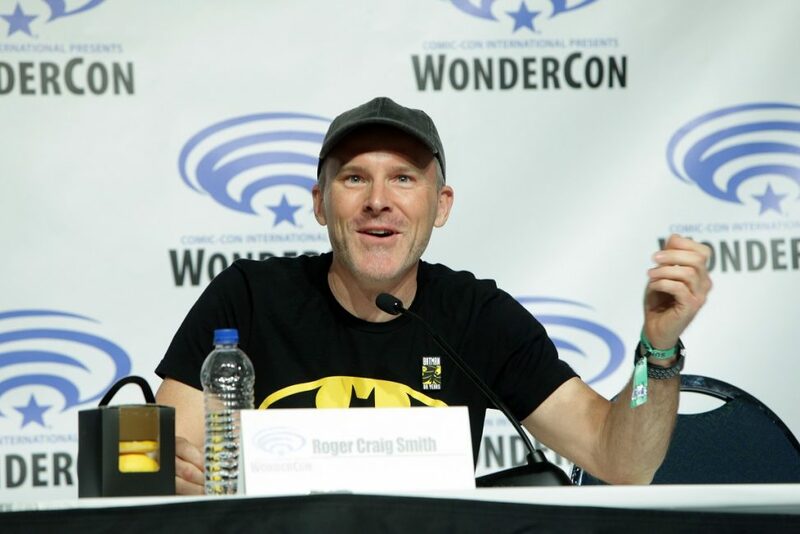 The panel featured Jim Lee, David Mazouz (Gotham), Kevin Conroy (Batman: The Animated Series), Lee Meriwether (Batman), Roger Craig Smith (Batman: Arkham Origins), and Grace Randolph (Beyond the Trailer). 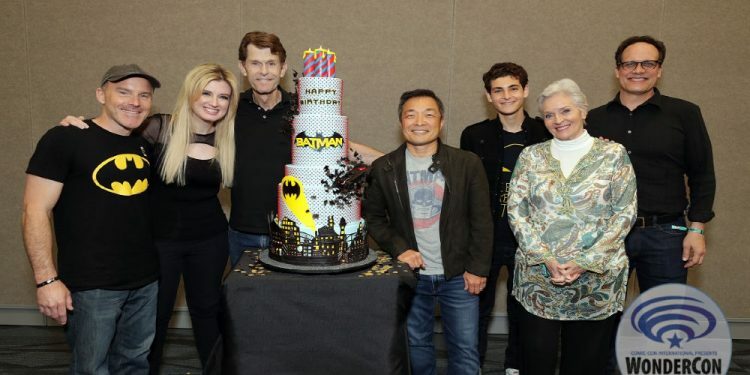 The panel unveiled a pretty epic one-of-a-kind Batman-themed birthday cake to mark the occasion. Blueprint, a digital lifestyle learning platform - designed the Bat-themed cake. It included 3D flying bates, a Batmobile and Gotham City's skyline wrapped around the base tier. Panelist and fans naturally commemorated the moment with a photo. While fans of all ages shared slices of Bat-cake, the panelist discussed Batman's long run from his first appearance in Detective Comics #27 in 1939 to present day interactions. 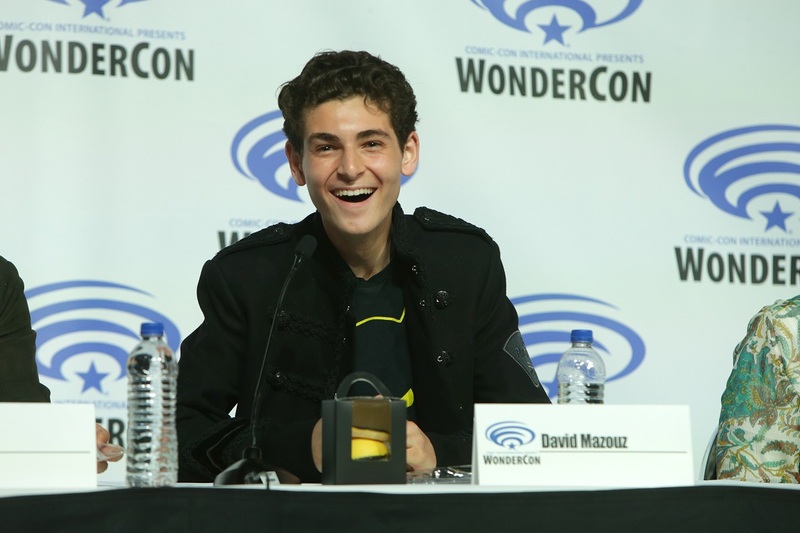 Kevin Conroy shared what made the character important to him saying, “Batman has no powers, but he doesn't let tragedy overcome him.” David Mazouz chimed in to say, “Batman turns tragedy into strength. 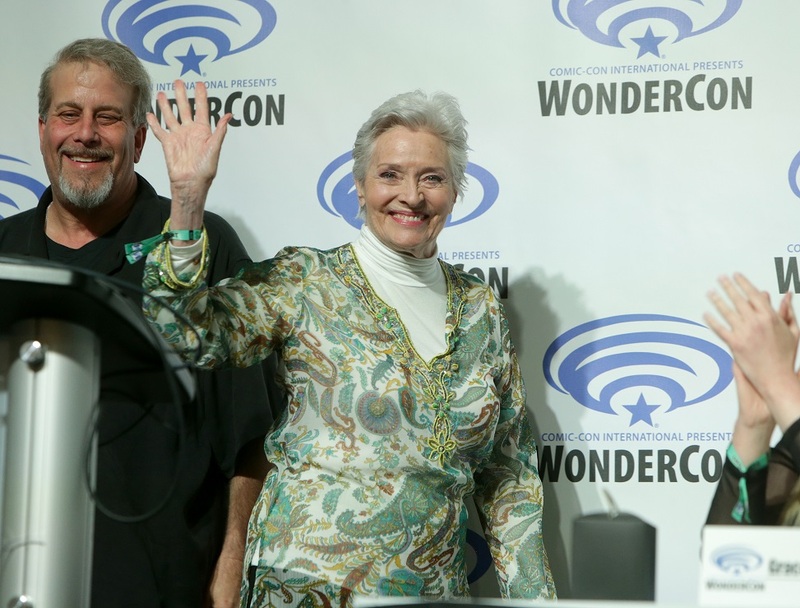 He turns pain into something positive for everyone around him.” Lee Meriwether reminisced and shared her fond memories of working on the 1960s Batman film with Adam West. 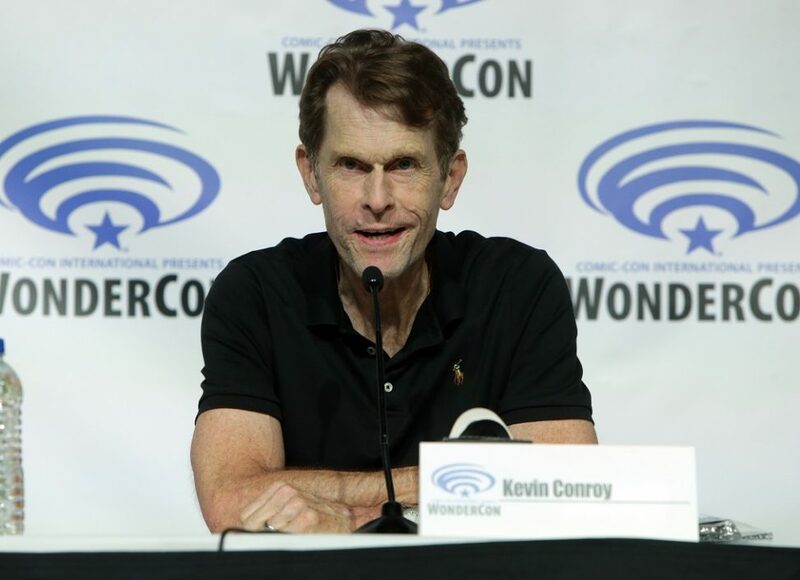 Later in the panel, Jim Lee (DC Chief Creative Officer and DC Publisher) announced that Batman would be the first inductee into the Comic-Con Museum's Character Hall of Fame. The inaugural ceremony will take place on opening night, July 17, 2019, at The Comic-Con Museum’s future venue in San Diego’s Balboa Park. As part of a fundraising event and in celebration of Batman’s 80th Anniversary, the event will feature displays of authentic props and memorabilia, and special appearances by artists, actors and other creative talents who have contributed to making Batman a global icon of popular culture. Tickets will be made available to the public beginning on June 3rd, 2019. So if the 50th San Diego Comic-Con is on your 2019 to do list, you may want to think about picking up tickets to this exclusive event. If you missed the special DC Universe stream free event there's still a chance to access the streaming network for next to nothing. All new members who sign up for DC Universe between March 29, 2019, and April 4, 2019, 11:59 pm EST, will pay $0.080 for their first month of service. 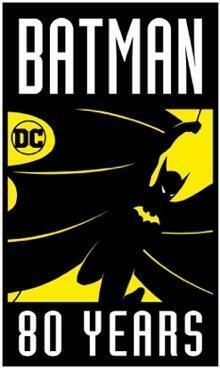 DC will honor #LongLiveTheBat no until Batman Day on September 21, 2019.